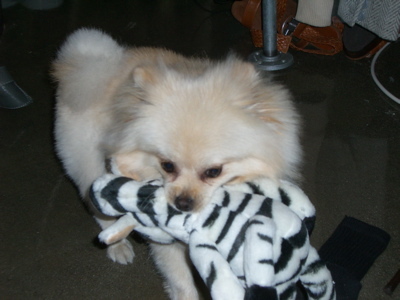 Athena (a beautiful little Pomeranian mix), had escaped from a major pet outlet's grooming facility with no ID. There were no leads for two days. The Search Dogs came out on the third morning and indicated a direction of travel to a freeway off-ramp, through a major intersection and into a near-by trailer park and back into a wash area next to the freeway. The scent could not be picked up anywhere out of this area. News media responded. Two leads were called in, but they turned out to be other dogs. Another lead was developed: A man had seen a dog hit on the freeway off-ramp (where the Search Dogs had trailed) the morning after the dog had escaped from the pet outlet. We interviewed the man who saw the dog hit; however, he was too far away to positively identity the dog. Although the Search Dogs trailed very near where the dog was hit, we could not positively confirm without more information. We grid-searched the freeway off ramp, but no body or fur was found. We did, however, find a recent blood stain in the middle of the off-ramp. Signs were put up (above) to see if a further lead would develop. That next morning, the case was solved. A woman that was an employee of a veterinarian stopped and had picked up the dog that had been hit and took it into her clinic. There was no ID on the dog, so they did not know who to contact. The dog, unfortunately, was deceased upon arrival and cremated. The woman positively identified the dog. The owners were notified and of course devastated, but said without our working the case they feel they NEVER would have found out what happened to their beloved dog. NOTE; THIS CASE TOOK THREE DAYS TO SOLVE. The dog was all ready deceased before the Search Dogs were called out. We were on the scene the morning after the dog was hit and picked up by this good Samaritan. The Search Dogs got the correct Direction of Travel and evidence was developed from there. As you can imagine, there were countless ways for the escaped dog to travel. No one saw which way she ran. This proves how effective the Search Dogs are. LIVE WALK UP FIND!!! Jackson, missing one week in busy Venice Beach. Ellie Mae was scented on Jackson's bedding. She immediately headed out the door and indicated under a gate, across the street and down a few homes. As the owner, Steven, was looking over the wall he says...."I see him!" 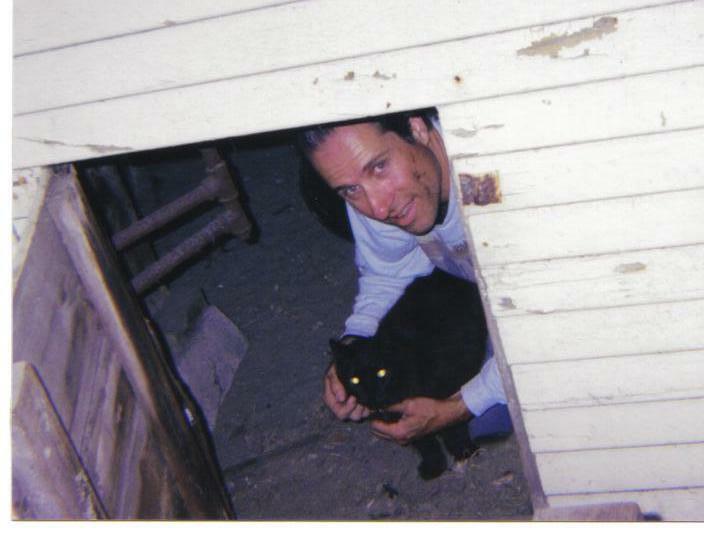 And Jackson darted back under a home where he had been hiding. This is a picture of the moment Steve brought Jackson out of the crawl space. ELLIE MAE HAS A LIVE WALK UP FIND!!! 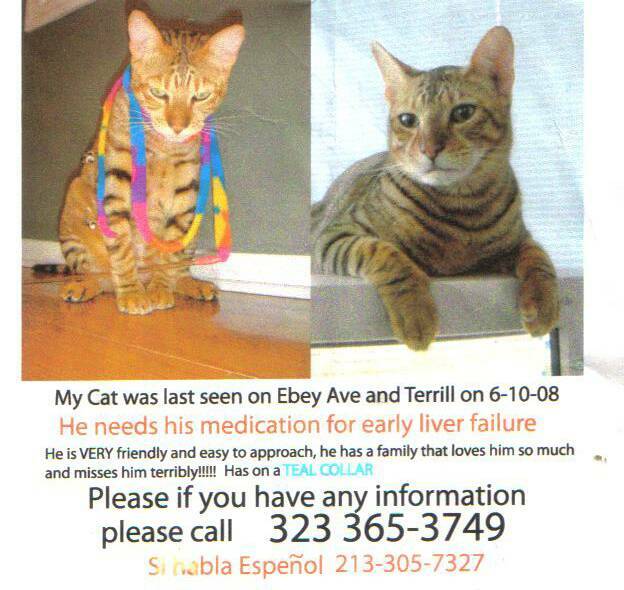 Boy, an Indoor Cat missing 9 days. No leads or sightings. The owners had given up all hope of ever seeing Boy again. Anikan & Maddox FOUND DAY OF SEARCH!!!! These adorable dogs wandered out of their gate with no ID tags on. No leads in three days. Owners were just beside themselves. The Search Dogs trailed for about 6 blocks to a school and ended the scent trail. Some quick investigative work was done by us. We contacted the school secretary and asked what was going on the day of the dogs' escape. Sure enough, a soccer game was being held on the field at the school where the search dogs led. 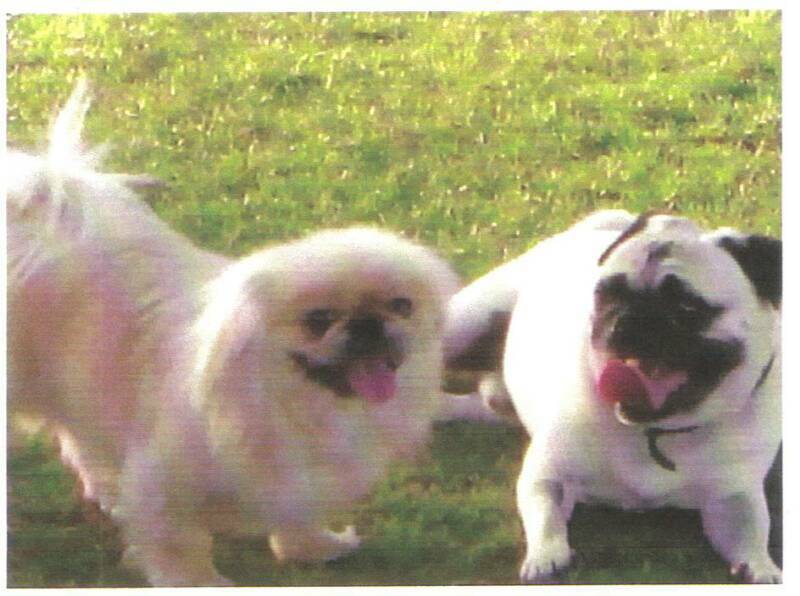 The soccer coach was contacted he had seen who picked up the dogs! Calls were exchanged. The people who had the dogs did NOT want to give them back and had all ready grown attached to them even after three days! We did some fast talking and the people agreed to meet us with the dogs. It turns out they had been transported about 45 minutes away! 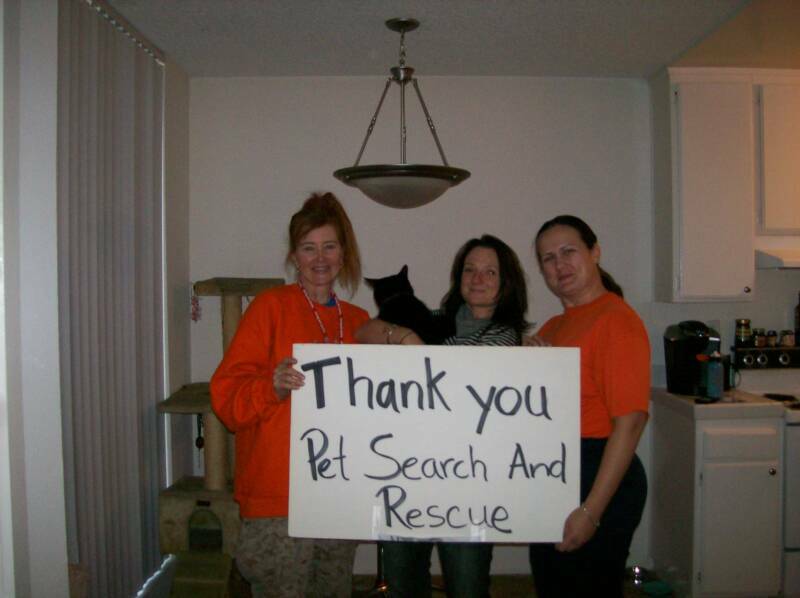 The reward was paid and Anikan & Maddox were home! Without the Search Dogs it would have been impossible to know which way the dogs headed and where they ended up! Also, it was a lucky break that the school secretary gave us the Coach's number and he knew who had picked up the dogs! This adorable poodle puppy (James Brown) was at a pet sitters and disappeared from the yard. No leads in three days. The owners were just sick about it. The Search Dogs indicated the dog was taken over a high back wall. Some posters were placed in the neighborhood offering a large reward. Within one hour a man called and said he "found" the puppy and wanted the $1,000 reward offered. A meeting place was decided. Our undercover person went with the owners as the man who called in sounded very high strung. He was. Also dangerous. Turned out he was an ex-con with brass knuckles in his pocket. He grabbed the cash and gave back the puppy and took off! MIRACULOUS!!!! And there "Boy" was; right where Ellie Mae led!!!! WALK UP FIND BY APACHE!!!! Displaced Curious Kitten. This kitty was in heat and spending the night with the owner's girlfriend. "She escaped through a loose AC vent at my girlfriend's home, I am so worried! ", said this well known actress. (Name asked to be withheld). I scented Ellie Mae and she kept circling the home. I then brought Apache out and gave her the cat's scent. Apache immediately started jumping up on her hind legs excitingly barking....We looked up and the cat was ON THE ROOF!!!!! Owners left on vacation and pet sitter did not put cat in at night. Kabuki had an electronic collar in so he could not leave the yard. 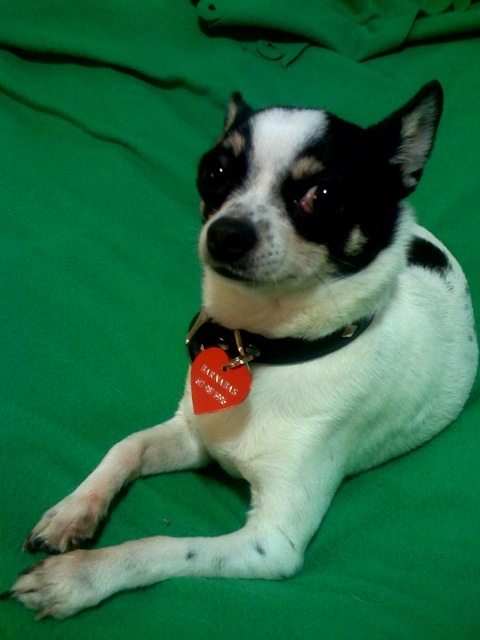 The electronic collar was found in the yard, but no Kabuki. 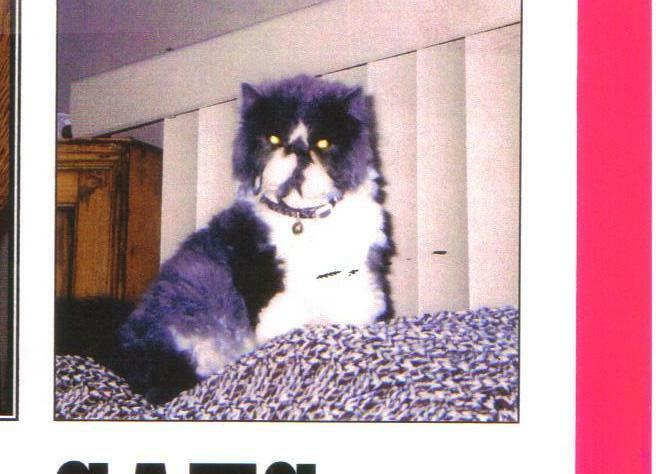 There was fur evidence, but owners were hoping Kabuki got into a cat fight. The Scent Dogs led to a hole in the fence and found evidence of wild animal tracks. The owners had not previously seen the hole. The trail pretty much ended there. Our Evidence Dog indicated blood alerts all over the yard (blood could not be seen by the human eye) and additional fur was found and collected. Blood testing equipment was used and it was POSITIVE for blood. 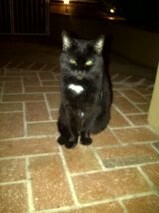 Ou beloved cat "Magic" walked out of our front door. Magic is 14 years old and has never been outside. I spent hours searching for her on Sun and on Mon my husband passed out flyers. I spent Mon. searching to no avail! I was really feeling that I would never see my cat again. 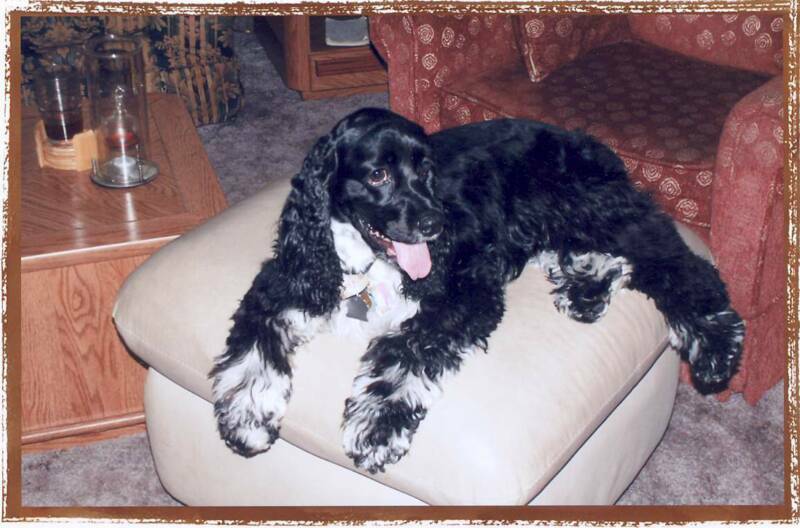 At 8:00 p.m. on Mon., I received a call from a pet sitter who had taken care of my dog. She gave me the number of a specialized K9 search team. She said that this would be my best change of finding my cat. I called Landa and as soon as we began talking and I heard her calm, clear advice, I know that I had to hire her and Annalisa. Landa gave me some instructions to follow prior to her visit on Wed. I finally felt that I had a plan to find my cat. When Landa & Annalisa showed up at my house, I knew that I had made the right choice. They were professional and ready to get down to work. After their hard day of work at my house, they sat with me and went through many details to help me capture Magic. They provided me with a map of the scent trail, physically walked with me over the trail and told me where to look after sunset. To say that the scent trail was 100% on target is an understatement. Soon after they left, I went into the back yard of the house where the Search Dogs had detected Magic's scent. I walked to the back corner of the yard and shone my flashlight and there she was!!!!! Capturing her, however, proved to be a tricky process. After many phone calls to Landa & Annalisa, sitting in the wet leafy mud for four hours and by following their good advice, I was able to bring Magic home that night! I feel I never would have found Magic if it hadn't for the Search Dogs. Landa & Annalisa are two of the most professional, smart and compassionate business people I know. They are the best and I would recommend them to anyone looking for their lost pet! "Stuar" - Found the next morning in the target search area as indicated by our Search Dogs!!! Ellie Mae & Lilly took a direction of travel several homes down through an alley leading to a crawl space underneath a house. There was fur evidence noted on the screen - same color as Teddy's. The crawl space was too small to send Apache under and it was too noisy to use the listening device. In the meantime, there was a possible sighting down the street. Ellie Mae indicated negative scent (meaning this was NOT Teddy that was seen). About 1 1/2 hrs. into the search, it was warming up and the wind had calmed down. Rainbow was brought out. She proceeded in the same direction as Ellie Mae and Lilly, however, this time she went past the crawl space and across the street and "alerted" under a car. YES, IT WAS TEDDY! He was fine, but cut on his back, probably from the screen where hair was noted as the screen had sharp edges. We surmise Teddy had been under the house in the early a.m. as it was cold and windy. Once it warmed up and the wind died down, we think Teddy crossed the small street and went under the car almost directly across the street from the crawl space! If you would like to contact this person for a reference, please ask and I will provide the email address. Thank you for the diligent and comprehensive search that you conducted. Also, the material that you left behind was quite helpful. You and Annalisa truly are "angels" who believe in what you're doing and do it in a professional and skilled manner. Our only regret is that, to date, we don't ave our Brutus or any viable leads. That being said, my wife and I feel that the money that you cost us was well spent. We'll keep you posted if anything develops. Lost dog, Smokey. Apache directly responsible for this FIND! 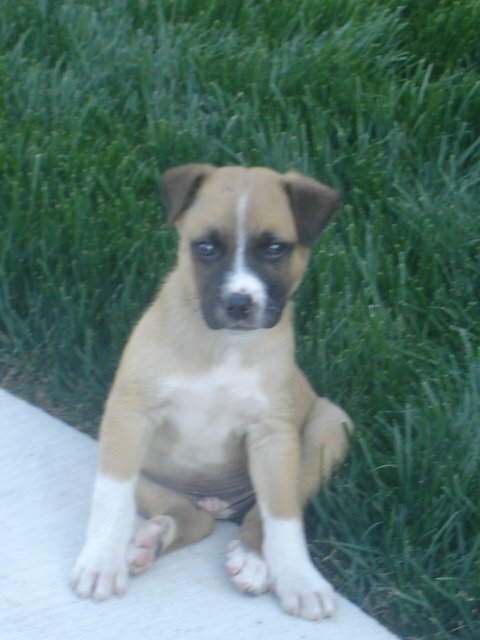 Rowland Heights......Missing dog - german shep/boxer mix....No ID....no leads in four days....Jim said Smokey had gotten out of the front gate. He had not slept in 3 nights. and could no longer function. We took over from there. Ellie was out with an injury. Lilly was scented on Sam's bedding and indicated he had jumped over a back wall (not out the front gate). Apache took the lead from there. She raced through a cemetary for quite aways and out to a main street and headed left. She then indicated Smokey had crossed the busy street and gone into a flower shop parking lot. We pulled her up and questioned the flower shop staff. It seems the owner of the flower shop had let Smokey spend the night in the enclosed courtyard 3 nights before!!! He had run out when another staff member opened up shop the next morning and was then out roaming again! BUT.....we had our fist lead in four days!!!!! We then used Rainbow to continue through this neighborhood and she alerted on a house about 3 blocks South. We knocked on the door. The man who came to the door dentified Smokey from several pictures we had - in fact, Smokey had been sniffing around his yard the day before, but the man was afraid of dogs. Again....our Search Dogs were right on the trail. It was dark by then, so we pulled up and implemented Search Management. The next morning SMOKEY WAS HOME! Note: Not only was the owner wrong about which way Smokey had exited the property; he had focused his search in the completely wrong direction and wrong neighborhood!! Without the Search Dogs he says he feels he never would have seen his beloved dog again! Apache proved to be our top trailing dog on this day!!!. not have an adult picture. MIMI - FOUND! No leads in two days. Search dogs were worked and Search Management implemented. One day later - Mimi home!! February 2008 "CADDY" Ran out of house while owners were moving. He had no ID and was missing 10 days with NO LEADS OR SIGHTINGS! Search dogs trailed to nearby park where the scent trail abruptly ended. Search Theory Techniques were utilized and 3 days later CADDY WAS HOME!!!! Caddy was picked up and transported about 30 minutes away to another city. Displaced, indoor-only cautious type cat. Escaped from loose screen at pet sitter's home. LOST 8 DAYS: NO SIGHTINGS OR LEADS. OWNER LEFT TOWN AND PET SITTER WAS TAKING CARE OF ANIMALS. PET SITTER CAME OUTSIDE AND TURTLE HAD JUST "DISAPPEARED" OFF A SECOND STORY CLOSED-OFF BALCONY AFTER FIVE YEARS OF LIVING THERE WITH NO PRIOR PROBLEMS. THE SEARCH DOGS INDICATED SHELLY FELL THROUGH A STEP AT JUST THE RIGHT ANGLE AND DOWN TO BEACH AREA NEXT TO THE DOWNSTAIRS PATIO. (Experiments were performed with various objects falling from different angles off steps and the conclusion was this is how she got onto the beach.) FROM THERE, THE SEARCH DOGS HEADED SOUTH AND THEN CHANGED DIRECTION HEADING NORTH DOWN THE BEACH TOWARDS A FRESH RIVER STREAM. A VERY THOROUGH PHYSICAL GRID SEARCH WAS PERFORMED BY OUR EVIDENCE DETECTION DOG. NOTHING WAS TURNED UP. SUGGESTIONS WERE MADE BY THE PET DETECTIVES. THE OWNER WAS VERY SKEPTICAL, BUT AFTER MUCH ENCOURAGEMENT; SHE APPARENTLY FOLLOWED OUR ADVICE BECAUSE SHE GOT SHELLY BACK. 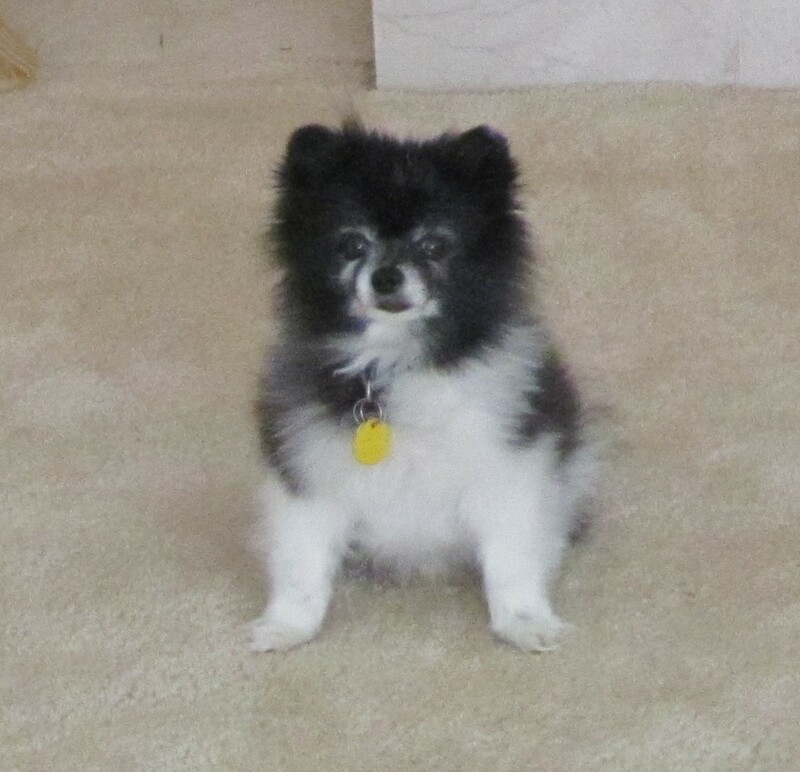 ON MARCH 18, THE OWNER CALLED TO SAY SHELLY WAS BACK HOME! THE UPSTAIRS PATIO DOOR WAS INDEED OPEN AND SHELLY FELL FROM THE FIRST STEP THROUGH THE BACK AT JUST THE RIGHT ANGLE ONTO THE BEACH. SHE HEADED SOUTH FROM THERE. SOME BOYS SAW HER AND PICKED HER UP. THEY DID NOT KNOW IF SHE WAS A FRESH WATER TURTLE OR A SEA TURTLE. THEY WALKED HER BACK (NORTH) TO A FRESH WATER STREAM AND LET HER GO. A LITTLE BIT LATER, A WOMAN WAS WALKING DOWN THE BEACH LOOKING FOR SOME SPECIAL ROCKS FOR HER GRAND DAUGHTER THAT LOOKED LIKE TURTLES! SHE GOT TO TALKING TO THE BOYS AND THEY TOLD HER THERE WAS A REAL TURTLE THEY HAD JUST RELEASED IN THE FRESH WATER STREAM. THE WOMAN KNEW A LITTLE ABOUT TURTLES AND SAW THIS WASN'T A SALT WATER TURTLE AND TOOK SHELLY HOME. SOME VERY ADAMANT COMMENTS MADE BY THE OWNER: 1. "NO ONE WOULD EVER PICK UP THE TURTLE." This statement is wildly incorrect. AT LEAST TWO DIFFERENT SETS OF PEOPLE PICKED UP THE TURTLE! 3. "THE UPSTAIRS PATIO SECURITY DOOR WOULD NEVER BE LEFT OPEN SO THAT THE TURTLE COULD FALL TO THE BEACH." THE OWNER WAS OUT OF TOWN - HOW COULD SHE KNOW WHAT ACTUALLY WENT ON DURING THE PET SITTER'S STAY? THE UPSTARIS PATIO DOOR WOULD HAVE HAD TO BEEN LEFT OPEN BY THE PET SITTER, AS THAT IS ABSOLUTELY THE ONLY WAY THE TURTLE COULD HAVE FALLEN OFF THE STEPS TO THE BEACH BELOW! Oh...and we never got so much as a "thank you" from the owner. FOUND! Cooper, lost 11 days when we arrived on-scene. There was only one unconfirmed tip received the first day he went missing. No calls or leads after this. 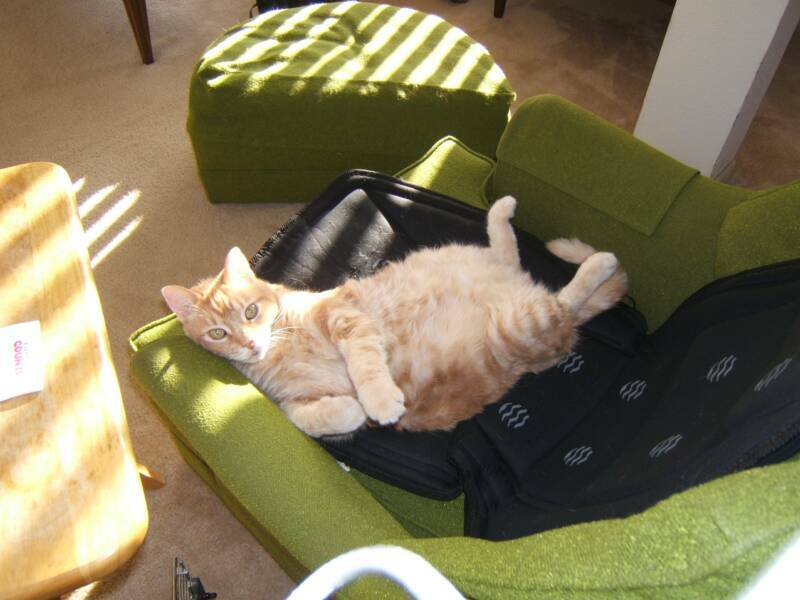 The owner's pet sitter had left the door open and did not tell the owner that Cooper was missing until the 4th day! When the owner returned; she quickly placed 800 flyers in the area. STILL NO CALLS WERE RECEIVED. The Search Dogs were then called in to see what they indicated. The K9's determined a Direction of Travel (DOT), which led to a solid lead! A man had picked up Cooper near the intersection where the Search Dogs ended the trail and had transported him to ORANGE COUNTY!!! (the same day Cooper went missing) and given him to friends. These "friends" had LOST COOPER AGAIN! This was unbelieve news to the owner and we were very concerned she was not going to be able to find him. She drove to Orange County and with some coaching by us and her quick initializing of the continued search management plan, she was able to get another lead and call which led to the return of Cooper on the 13th day!!!! FOUND ONE MONTH LATER AT CASTAIC SHELTER, about 50 miles away! - Bailey was all ready up for adoption after 2 days at the shelter. The owner had not given up and had searched all shelters in a 75 mile radius and kept in contact with various shelter workers. 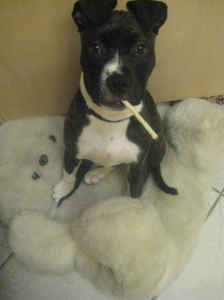 An individual looking on-line had suspected this dog was Bailey and contacted the owners at 2:30 a.m. The next morning the owners were at the shelter. 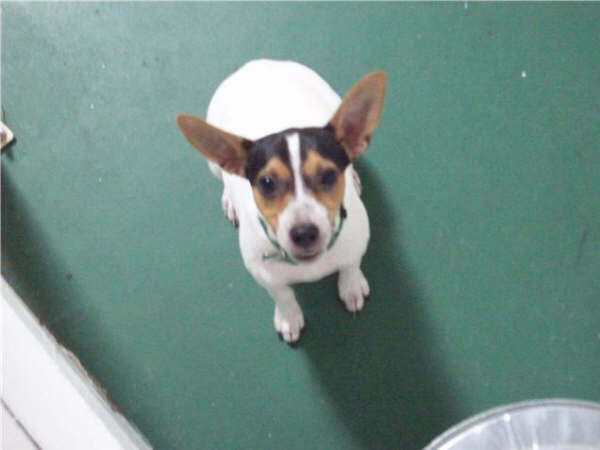 The shelter workers said it could not be Bailey, as he was an "owner turn in". The shelter personnelwere very skeptical, but realized it was Bailey when the owners started crying and Bailey was going crazy. The owners were extremely lucky as Bailey had no ID on and had been transported (as we originally suspected) pretty far away. BUT.....the owners were very persistent! They had a plan, they followed it and were very organized. 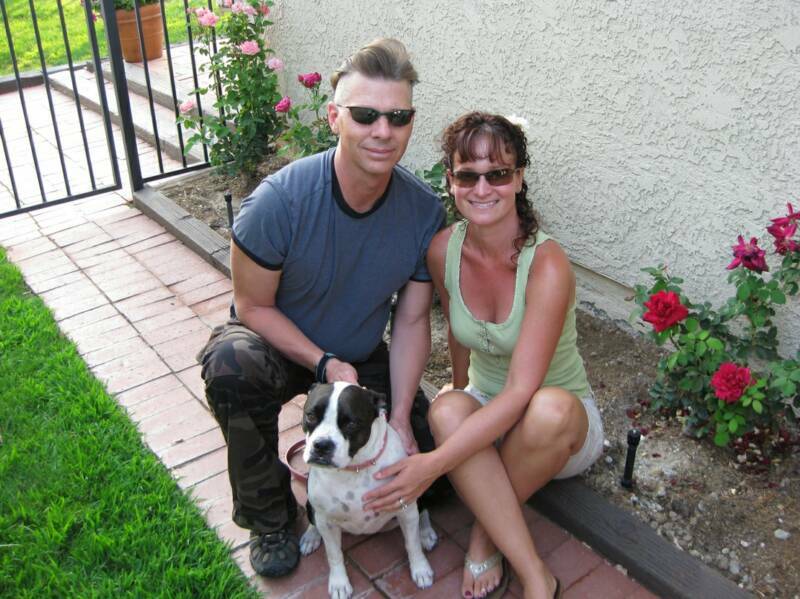 Bailey - Male Bulldog ran out of an opened gate from his home in Reseda, CA. at 7:45 p.m. He was not wearing any ID. The Search Dogs led a few blocks away to Cleveland School where the scent was lost. Upon further investigation, it was found that evening at the school, a huge charity fund raiser was going on. This was the time frame Bailey was lost. We are confident that he was picked up in this area and transported to an unknown location. Bailey is extremely friendly and greatly missed. Chelsea - WALK UP FIND! Indoor only cat, missing 4 days...no leads or sightings. Glory established the direction of travel and Lilly alerted on a crawl space under a near by home. Apache was sent under the building with me in tow and she flushed Chelsea out so we could see her, but Chelsea ran back up to the front of the huge crawl space. A humane trap was set........Six days later Chelsea went into the trap! The owner was very persistent and diligently followed our advice! You guys and your dogs are the best! Thank you for being there and coaching me and telling me not to give up! Chelsea had a few scratches on her head and was dehydrated, but she got a clean bill of health from the vet! I will recommend you to anyone who lost their pet! LIVE WALK UP FIND by Apache! However, this was a team effort with three Search Dogs performing their specialty. One dog could not have completed this search. Phoenix - Outdoor access cat missing 3 days....no calls or leads. Ellie Mae established a direction of travel over a side wall into a neighbor's yard and up to a hole in the fence. Apache was taken around to the other side of the hole and given Phoenix's scent. She immediately took off a few yards away and alerted on a hole in another fence. We told the owner to ask permission to search this yard. The owner obtained permission and Phoenix's collar was found near the hole where Apache alerted. Lilly was brought in and gave "blood alerts" where fur remains were found matching Phoenix. Apache found more remains. Unfortunately, it was confirmed by the owner that this was indeed Phoenix. "At least now I have closure and can let him go." "I never would have known what happened to him." "I will never let my other cats outside again." "Thank you so much." On Sat July 5th my husband and I came home from a movie to an open gate and an empty backyard. 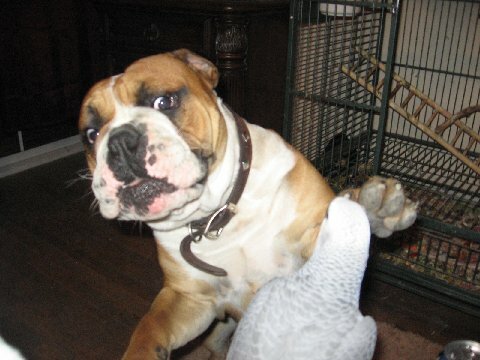 Our beloved Boston Bulldog Roxy was gone and panic immediately set in. My husband took off in his car and I on foot and we searched from 10pm to 5am without taking a break. Sunday morning my family arrived and the door to door search and flyer distribution began. By 8pm we were devastated, exhausted and still without our baby. We couldn’t sleep. We couldn’t eat. By Monday afternoon we had visited local shelters, called all veterinary offices, posted hundreds of flyers, interviewed neighbors and walked for miles. No one had even caught a glimpse of our precious girl and we were beyond heartbroken and quickly losing hope. On a whim my husband called our local sheriff’s department and asked to speak to a detective, we were desperate. The sympathetic deputy said he knew of someone who hired a pet detective, an organization who brought out bloodhounds to track lost pets. We were elated! I immediately got on the internet and found Lost Pet Detection. Landa called us back immediately and she had such an authoritative calming way about her, our hopes soared. We knew if anyone could help us find Roxy it was her. Landa and Annalisa were so experienced and so organized an hour later we had more information on how to find Roxy than we could imagine. We thought we had been thorough and done everything possible, boy were we wrong, they taught us so much! Wednesday morning the troops arrived, this truly was like a military operation. Landa brought in Ellie Mae her bloodhound, she smelled Roxy’s bed and a few of her favorite toys and then they were on their way. We waited anxiously at home like worried parents as Landa and Annalisa called in to report their progress. Ellie tracked Roxy down our street across a busy intersection and through our local foothills. She went in a direction we never would have found on our own. We felt like we finally had a real chance at getting Roxy back. When the team returned, Landa and Annalisa had detailed maps that showed Roxy’s route as well as an extremely detailed plan for us to follow. They told us where to put up giant fluorescent posters instead of the pitiful flyers we had been using, and explained where our target area should be. By the time they left we felt like we were truly prepared and we hit the streets. From Saturday night through Wednesday morning we had received no phone calls regarding Roxy and the lost dog flyers we had distributed. 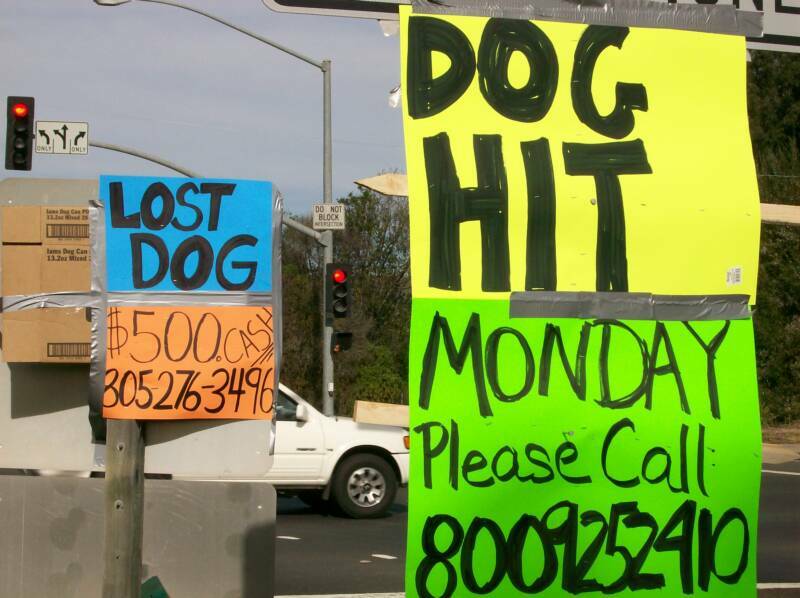 By Wednesday night, after Lost Pet Detection left, we already had 5 phone calls. Thursday morning at 7am we got the only call we wanted to hear, someone had spotted Roxy! My husband finally tracked her down in a neighborhood 2 miles from our home. By 8am she was safely tucked away in the backseat of his car. Roxy had been running loose for 4 days and 5 nights. She was dirty, skinny and scraped up but she was safe and she was home! Lost Pet Detection arrived at 6:30am Wednesday morning and we had Roxy back by 8am the very next day. Words cannot express how grateful we are to Landa, Annalisa and their wonderful canine team. 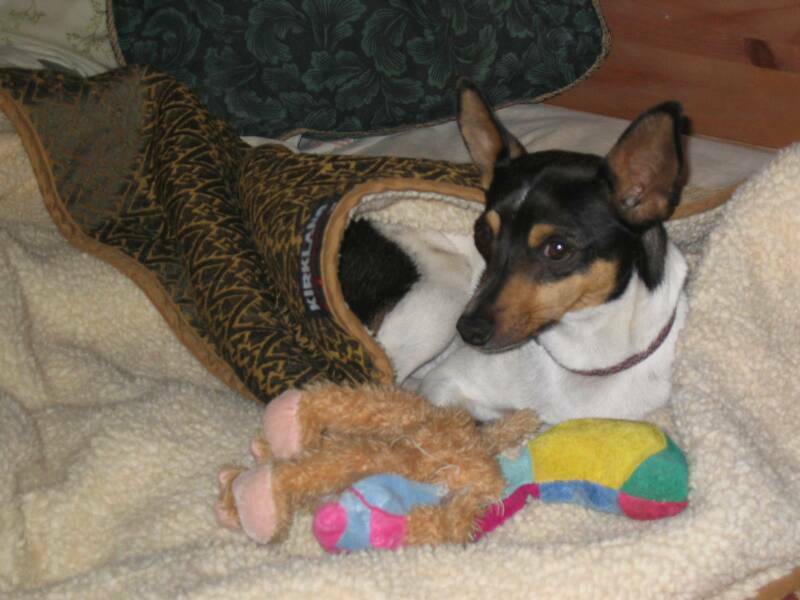 I truly believe without their help we would never have found our beloved Roxy. I want to tell anyone who has lost a pet, do not waste precious time. 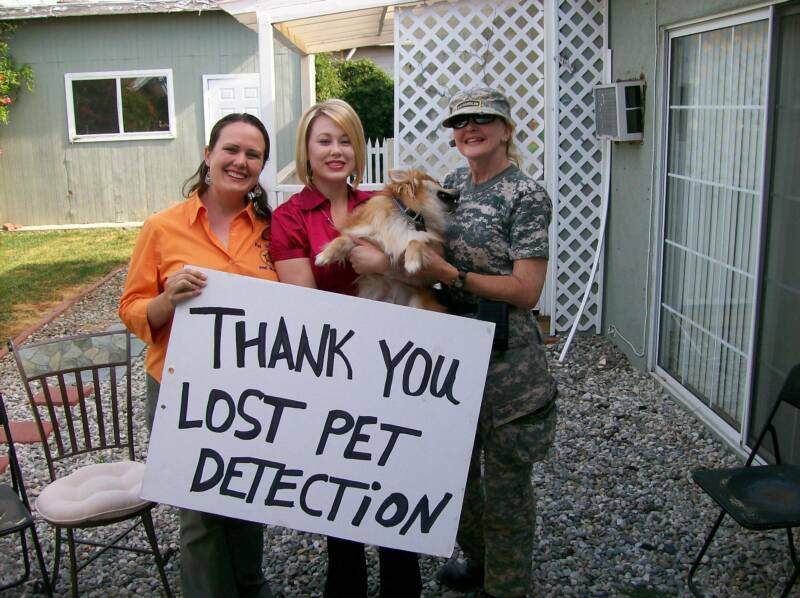 Call Lost Pet Detection, they will put you on the right path with the right tools and you will get your lost pet back. THANK YOU LOST PET DETECTION! JUNE 19, 2008 APACHE - WALK UP FIND! 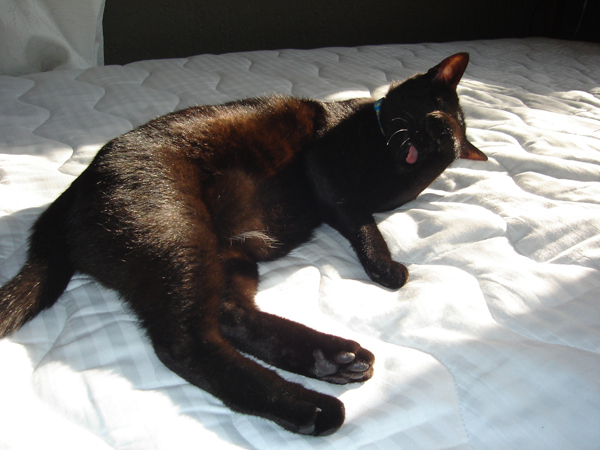 Mancha, Outdoor Access cat missing 9 days - no calls, leads or sightings. Apache was scented on Mancha's bedding and immediately took off towards a walking path area, made a sharp right turn, kept trailing about 500 ft. and turned off into the bushes and alerted. Upon examination we found large clumps of matching fur (unfortunately). Forensics were utilized with known samples and shown to be CONSISTENT. Thank you for the closure and support. ELLIE MAE - WALK UP FIND! This handsome boy got out the doggie door and never came back. It was two days when the owners called our team. They were suspicious of coyotes, as two were seen nearby the week before. The owners searched the hillside for many hours, but came up with no evidence. Ellie Mae was scented on Barnabus' bedding and made her decision to go down a flight of steps and into a nearby vacant lot where she alerted on a patch of fur that suspiciously matched Barnabus. The other search dogs led to the same area thus confirming Barnabus' fate. The evidence detection dog could not locate a collar and tags, even though we grid searched for an hour. A forensic match of the fur found at the end of the scent trail was shown to be CONSISTENT with a known sample of Barnabus' fur. 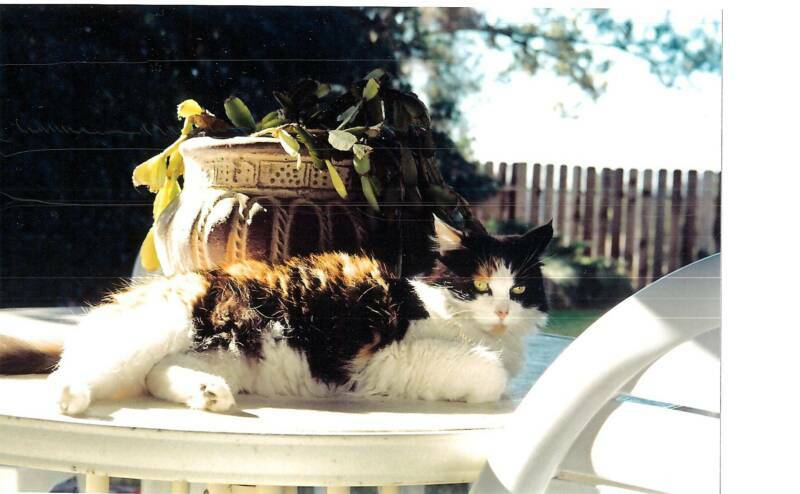 CASE FILE: "Suki went missing on a visit about 30 miles away from home. After six days had gone by we didn't receive one phone call!!!! We put flyers up all around the area and the surrounding areas and I even called every pet shelter and Veteranary office within a 50 mile radius and NOTHING. Was losing hope and I felt as though I had exhausted all of my options when I ran across Landa's website (which is full of helpful tips and information about who she is). I immediately emailed her asking for her help. I was initially skeptical because earlier in the day I had spoken to another pet detective who, I felt, played at my heart strings in an effort to collect my money. Landa wasn't like that AT ALL. She responded quickly and with one telephone call from her, for the first time since Suki had been missing, I felt at ease and full of hope. She educated me, comforted me, and renewed my spirit with her honesty and intensity – SHE CARES! Within hours of hiring Lost Pet Detection - Suki was found! They got their lead from a veterinary office about 7 miles from where she was last seen and I had actually contacted them myself and sent them a flyer of Suki, although they didn't provide me with any information. The people who found Suki roaming around their house even called the number on Suki's tag where she is registered and the registration office never called us! Landa and her team are professionals and have a way of making everyone want to cooperate. If they hadn't stepped in when they did, Suki wouldn't be home today! You guys are just incredible and in saying that I feel the word is an understatement!!!!!" 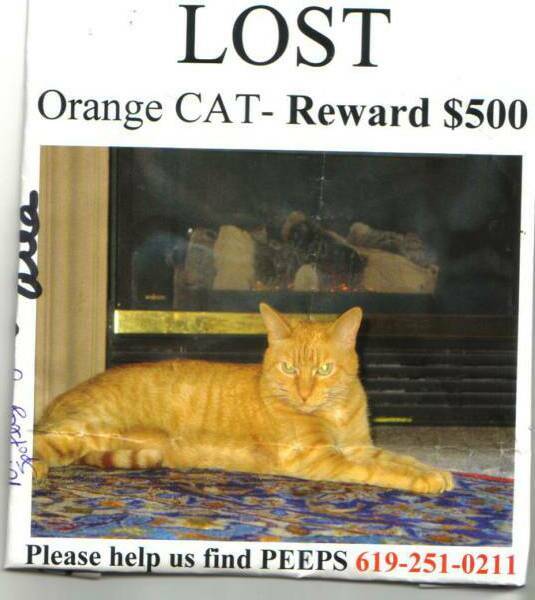 I am so grateful to Annalisa and Landa and their amazing dogs for helping me to find my cat, Charlie. 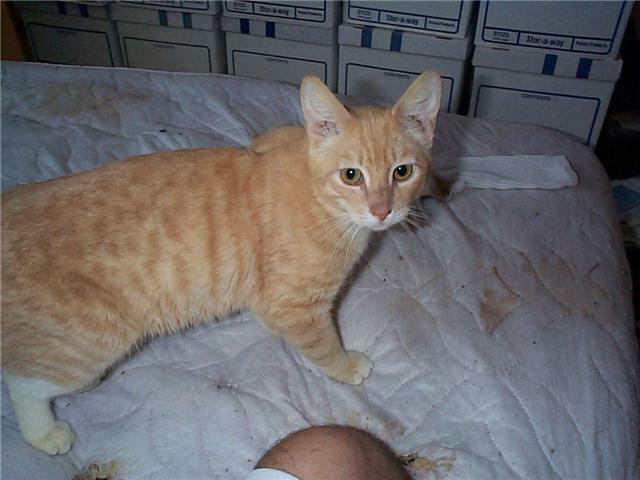 On Thursday, August 28, 2008, Charlie disappeared from our yard. I was late bringing him inside that evening and by the time I began searching for him he had disappeared. By Friday evening I was panicking! I made signs and posted them in our neighborhood, I called AVID (Charlie has a microchip) and put Charlie on their hotlist and I called his vet and the Pasadena SPCA. I walked the neighborhood and called him repeatedly. I knew Charlie was a timid cat and that he would not likely make a noise if trapped somewhere or approach anyone for help. It was Labor Day weekend and I knew that Charlie might be trapped in someone’s garage that was away for the long weekend. By Saturday, I had received no calls or sightings. 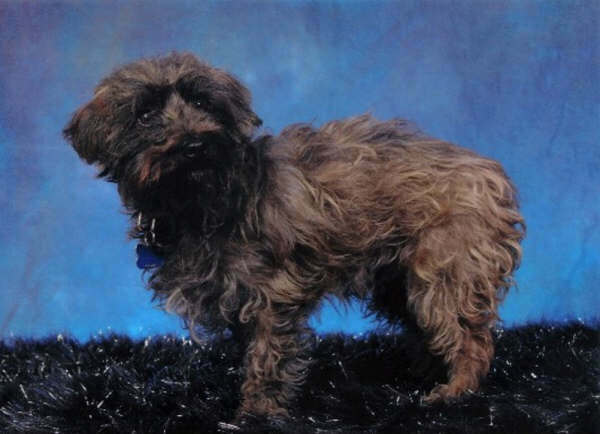 The Pasadena SPCA had a link to the Lost Pet Detection website, so I called. Annalisa and Landa were so professional and thorough on the phone with me that I decided to use their services. They arrived at 7am Sunday morning and went right to work. The dogs were able to pick up a scent trail going north on our street about 8-10 houses away. The last dog they used that day, Rainbow, tracked Charlie’s scent another block north. Although, we did not find Charlie that day, Annalisa and Landa were able to define a search area for me based on Charlie’s scent trail. That information allowed me to make a more concentrated effort in the area of the scent trail. Fortunately, the dogs detected no blood or remains. Annalisa and Landa were able to give me lots of helpful suggestions to use over the next few days. They even prioritized the things I should do based on the time frame. I walked the area every morning and evening and saw and heard nothing. By Tuesday (5 days missing), however, not one sighting had been made. I was getting very discouraged. I emailed Annalisa and Landa and they encouraged me not to give up and gave me a few more suggestions. On Thursday morning (1 week missing), I wrote a letter to my neighbors, attached a picture of Charlie, and put a copy on EVERY doorstep in the scent trail area and some in surrounding areas. I let my neighbors know that Charlie was still missing; that we had conducted a search with dogs trained to track lost pets and that everyone who received the letter was in the area of his scent trail. I offered a $500 reward and let them know that he had been wearing a collar with a bell and to please continue to watch for him. At 10:30 Friday night (8 days missing) I received a call from a neighbor who lived directly across the street from the last home on the scent trail. 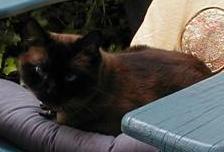 My neighbors said that they had heard a bell near their front door, and having just read my letter, looked outside to see a big Siamese cat running away. My husband and I grabbed our flashlights and the cat carrier and headed out. Within 30 minutes, we were able to catch Charlie. He was so frightened that I was bitten and scratched while trying to get him into the carrier, but I was NOT GOING TO LET GO!!! Charlie was frightened, hungry, dehydrated and his front claws were worn to nubs, but otherwise FINE. After spending a little time under the bed and eating a whole can of cat food, he was ready to spend the night cuddling!! 1. Call Lost Pet Detection right away!!! 2. You will want to give up, but don’t!! Annalisa and Landa told me that owners often give up too soon because the process of continuing to look is too sad and painful. The knowledge they had about the actions of lost pets helped me to understand that to give up in the first week or two is way too soon!! I almost didn’t write that second letter (the first letter was the day before the K9 search), but I remembered what they said to me. 3. You might find it difficult to ask people to search their property (I found it extremely difficult), but do it anyway! I found that most people were very understanding and supportive. 4. At the start of the search with the dogs, Annalisa and Landa reminded me that the dogs are just one piece of the search process. 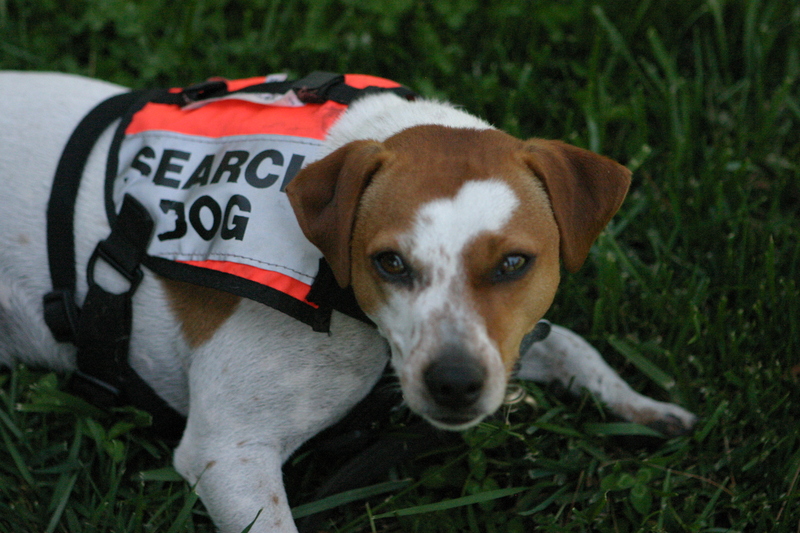 Sometimes the dogs find a missing pet right away, but other searches require a number of other strategies working together with the information from the dogs’ search to get results. 5. 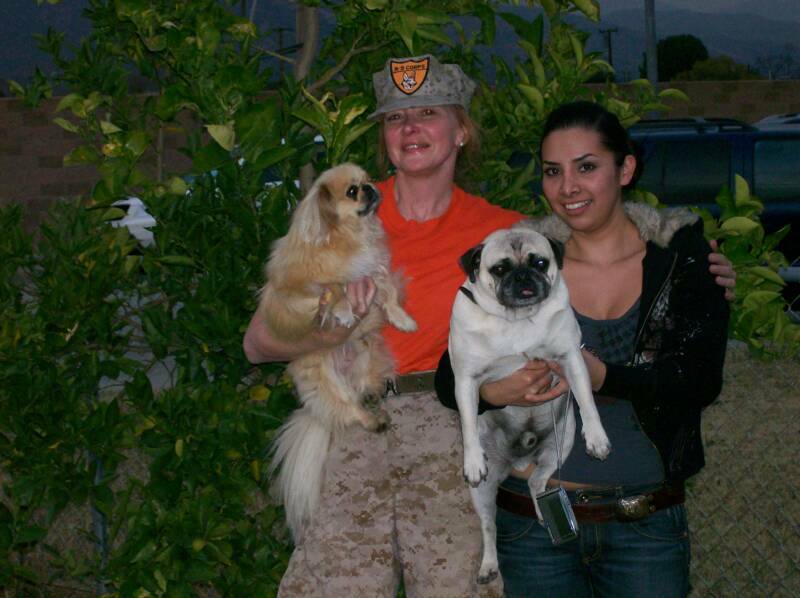 Listen to Annalisa and Landa’s advice and trust the dogs!! They are a talented team!! Search dogs called in on the 5th day.......The canines indicated a direction of travel and a specific search area was targeted. Twenty minutes after leaving the search, a phone call was received that Sophie had been spotted on the Woodman Ave. 101 off-ramp around 10:30 p.m. the night before. This was about 1,500 foot from where we pulled the Bloodhound up on Woodman Ave. The next evening, she ended up at the E. Valley Shelter! I just wanted to thank you so much for all you did to help us find our lost dog, Chloe. She was lost on September 17. We contacted you on the 18th and you came out early the 19th with a K-9 unit. However, before you even arrived you emailed us a tremendous amount of information relating to what we should be focusing on and what steps to take, to try to find her. It was this information that proved vital in our relocating Chloe. The K-9s concluded that Chloe had gotten out through a side gate and that her scent went cold not far from our home. You informed us that the likelihood that someone had seen her and taken her in, possibly as a Good Samaritan, was high. Therefore, you reiterated that we must continue to get the word out and not to give up hope, no matter what! Honestly, we were disappointed that we were unable to find her with the K-9s but we learned that she was most likely unharmed and that helped us stay focused on the next chapter of the search. 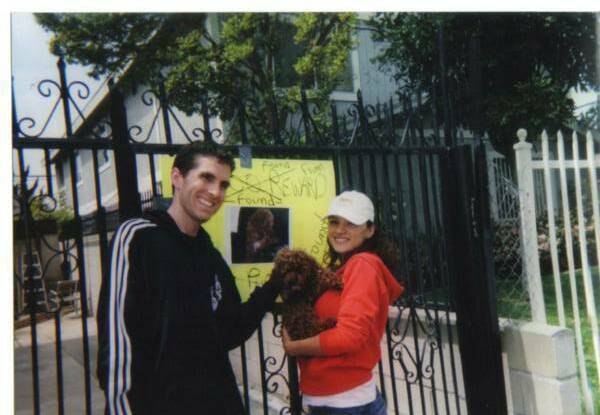 We did as we were told and made about 100 posters (clear, bright, concise, with a reward), passed out flyers, went to all vets, groomers, humane societies within 25-45 miles of the area of disappearance. 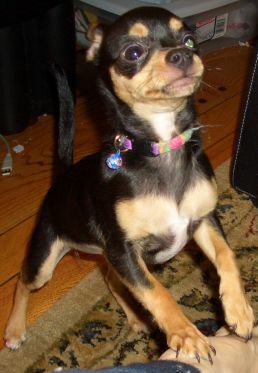 We posted online rewards, newspaper ads, Craigslist ads, petfinder.com ads and all pet related sites we could find. We talked to neighbors and one week from the date of disappearance we re-interviewed all service people and neighbors again about Chloe, in hopes to spark any memories or details we might have missed. 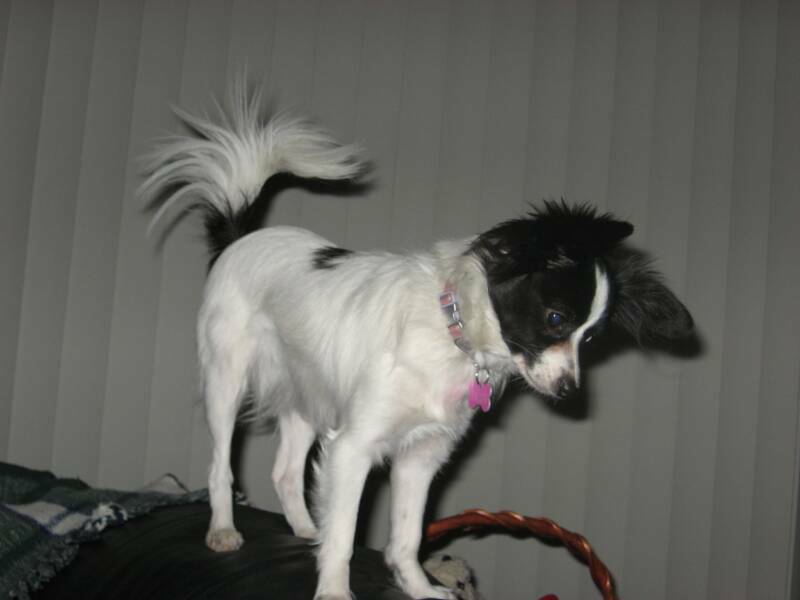 We worked tirelessly on everything, yet were getting prank calls, found dogs with different descriptions of Chloe, leads that mounted to other, similar dogs, but still had not yet found Chloe. We were losing hope a little and fearing the worst. Through all of this we got emails from you regularly asking about our progress and offering kind words. We kept up our search and FINALLY, on October 11th, we got a call from an anonymous person (who said that they "did NOT want the reward") informing us that they knew who had Chloe and that these people were aware of our efforts to get her back, yet they decided to keep her anyway. We were THRILLED when with the police; we went to the location and got our Chloe back!!! It was a long hard journey to get our angel Chloe back but we did it. Honestly, I believe we were able to find her in large part because of the information you provided us. It was EXACTLY what we needed to know where to start, what to do, where to go, to remain focused and not to give up hope. So thank you so much LostPetDetection.com. We will never forget the help you gave us in finding Chloe!!!!!! "We wish to express our gratitude to Lost Pet Detection for their assistance in locating the remains of our beloved cat, Reo. Although we suspected that Reo had been taken by coyotes in the area, it was stressful not knowing what had happened. Annalisa and Landa arrived at the house with their team of six dogs and conducted a painstakingly thorough search of the neighborhood and the wooded area behind our house. Although it was sad to learn that Reo was gone, it would have been worse to not have been afforded the closure that they provided to us. 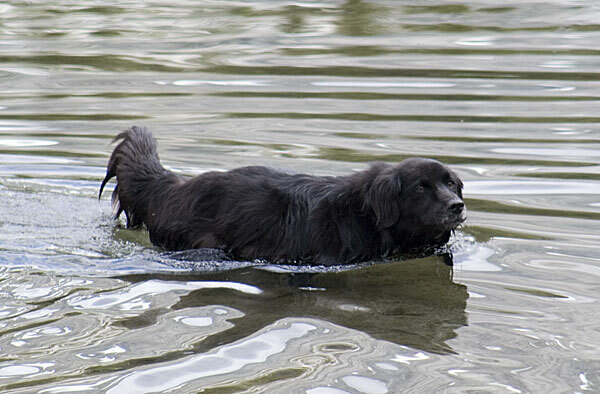 We would recommend to anyone the service provided byLost Pet Detection. WALK-UP FIND!!! 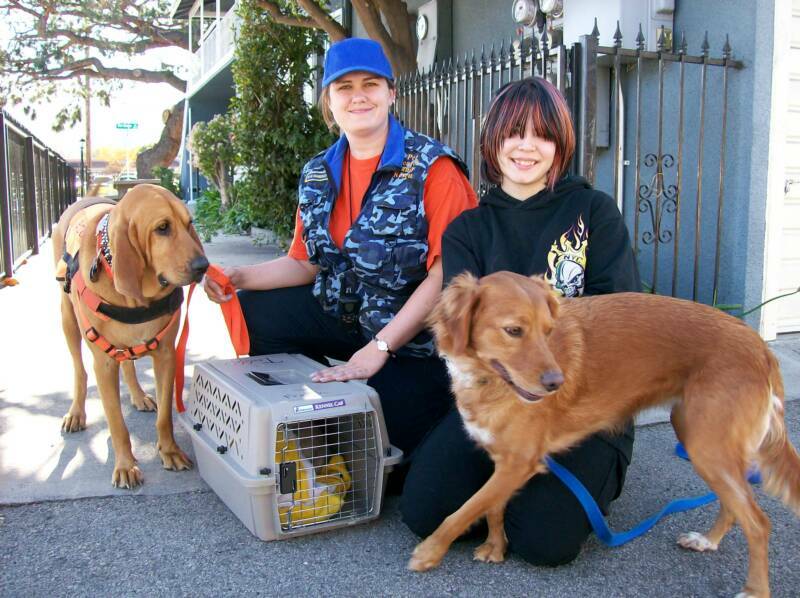 Bloodhound, Ellie Mae locates Lexy in a canyon about 1/4 mile from her home! Again, we cannot thank you enough for the return of our family member, Lexy. 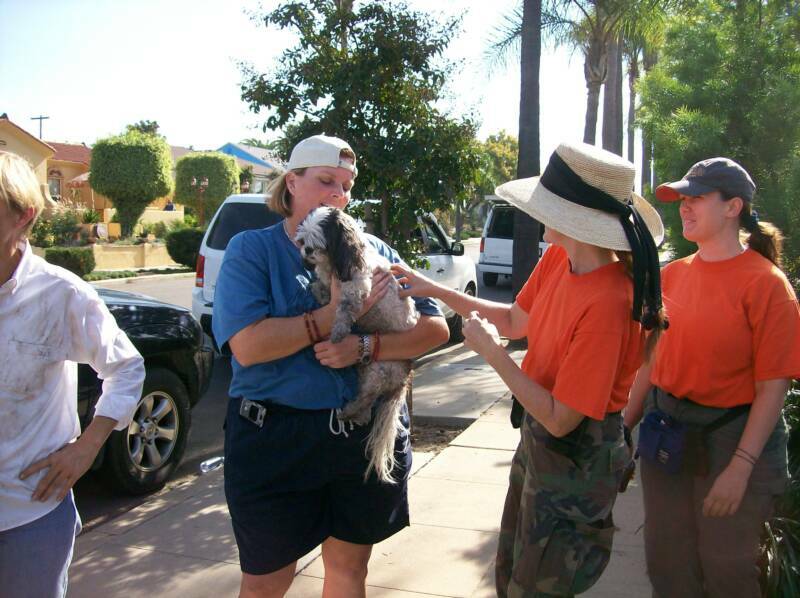 Your skills and personal commitment to finding lost pets is extraordinary. I have attached a letter of recommendation in word form, please feel free to use it or any part of on your sites or in your advertising. I have posted everywhere the story of your rescue of Lexy today. If you need anything from us, please let us know. We were also thrilled to see that other families were helped with the publicity we generated. I have also attached the news release that we sent out to get media attention and feel free to revise and give to others. They need to call the media desk and email the press release to get a producers attention. When one station called us, we then sent out a follow up email to the other stations telling them that it was covered by their competition which is how we got two stations out. The third major station ran it on the radio...not to be left out. Lexy, Zoey, Baxley and Cleo....together again...finally. Annalisa and me speaking to Channel 8 news media in San Diego regarding finding Lexy. THANK YOU THANK YOU THANK YOU...OUR LIVES STOPPED WHEN PEEPS WENT MISSING. EVERYTHING YOUR SEARCH DOGS INDICATED WAS 100% CORRECT! PEEPS WAS RIGHT IN THE AREA WHERE YOU TOLD US TO SEARCH.!!! WE FOUND HIM THE NEXT EVENING...!! COULDN'T BELIEVE IT!! 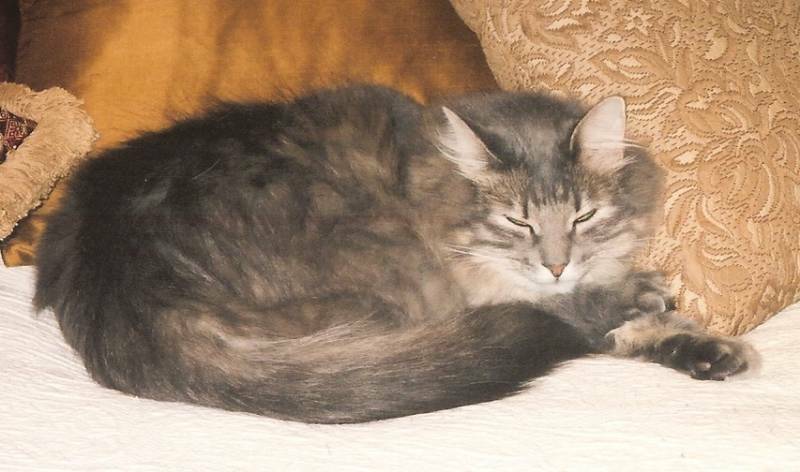 Unfortunately, Jasmine's fur and blood remains were found by EM in a canyon nearby. "I walked this canyon for two weeks and did not see Jasmine's fur that Ellie Mae found." "She will be missed, but I am grateful that my family will have closure." 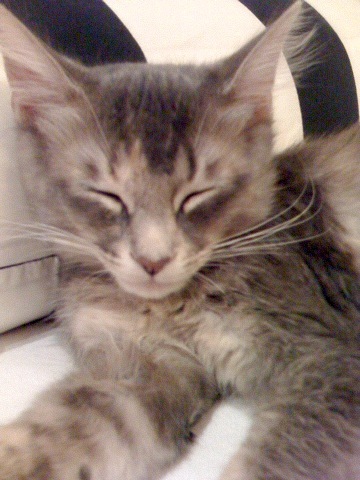 Tallulah - Indoor only Cat - Climbed out loose window screen - Lost 5 days with no leads. Unfortunately, matching visual remains found at next block. Thank you for your caring and hard work. 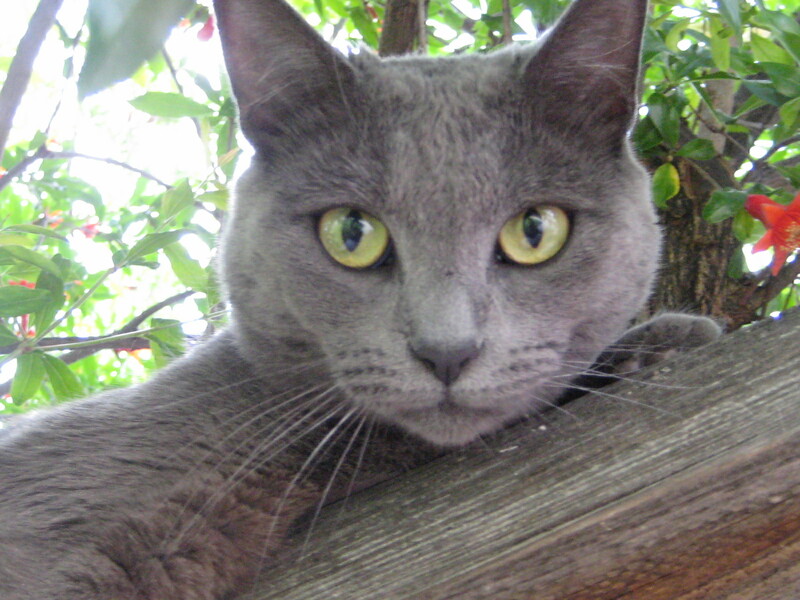 THANK YOU from the bottom of my heart for finding my beloved kitty, Cat Stevens, who was missing for 6 days. Without your hard work, compassion, and of course your team of amazing dogs, I don't know if I would ever have seen my baby boy again. Unfortunately, I happened to be in the UK visiting my family for Christmas when I found out Cat Stevens was missing. 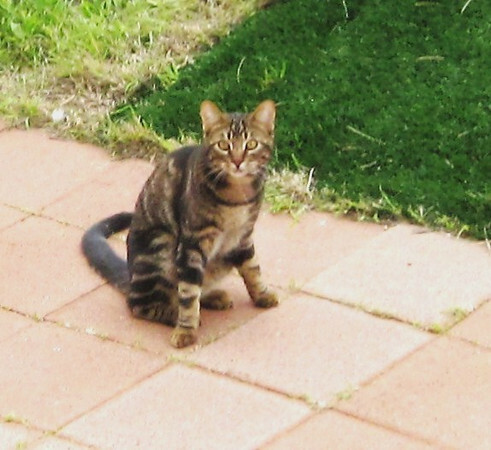 He is an indoor/outdoor cat who loves exploring and being out in the fresh air, but normally I could get him back by calling for him, and if he wouldn't come back because he was in the middle of an adventure, it would still usually only be a couple of hours before he made his way home. But he had already been gone 2 days when the cat sitters told me he was missing!! My heart filled with dread. I wanted to jump on a plane as soon as I heard, but due to family commitments, it was very difficult for me to get back to LA as soon as I wanted. My friends flyered up and down the street, they put posters up in the neighbourhood, the cat sitters went out looking and talking to the neighbours on the street.... but he was still missing.... so by the 5th day, I knew I had to come back myself. Things just went from bad to worse when my flight was oversold and I had to wait another 24 hours to get on a flight out of London. I never had a clue that such a thing as "pet detectives" even existed, but once I found out about your service, I instantly knew I had to hire you. You told me that you have about a 73% success rate and that was good enough for me - how could I not hire you? I knew that this would be the best chance I had of finding him alive and well. You then explained that due to the area where Cat Stevens was missing, the chances of a "walk up find" were around 35%. That still filled me with hope. You explained your service in detail and what to expect. When I landed at LAX, you were out with the dogs and had been searching for 3 hours already. When I heard you were still out searching, I was just thankful that you hadn't found a body... I don't know what I would have done if I had got off the plane to be met with that news. After I had got through immigration and picked up my suit cases more than an hour later and had just got in the car to rush home, I got a phone call to say you had found him, trapped in a garage at the back of someone's yard, about 5 houses up the street. I screamed with joy, I could not believe the news!!!!!!!! I was going to get my baby back! When I finally got to my street more than an hour later due to the awful LA traffic. Anna Lisa was shivering inside the dark, dingy shed, with you making sure Stevens stayed there (he was hiding in a dark corner and would not come to her.) That act alone reinforced what lovely people you are. When I crawled into the shed myself and called out "baby boy where are you? it's me, I'm here! ", it only took a couple of seconds for him to start meaowing his little head off and when I moved loads of boxes and piles of stuff out the way he crawled out from a tiny little space where he had been hiding. Oh my god I can't tell you the sense of relief that came flooding through me - and the most enormous gratitude for you both, and all the wonderful dogs who had been involved. Dear Landa,I just want to thank you again for your help with me trying to locate my lost dog, Abbie. I was distraught knowing she had been missing for 5 days and in the middle of Los Angeles, an unfamiliar neighborhood!! When I found your service on the internet and called, you responded immediately. It gave me a feeling of hope. The next day when I went on the search with you and the wonderful bloodhounds, and the way you organizedthe operation and suggestions you gave to follow up searching really empowered me.Ellie May and Glory followed a scent trail that gave indication that Abbie was circling in the neighborhood.Sure enough, an hour later I got a call from someone who found her in their backyard!You and your team helped me get through a very stressful time! !I only wish I had known about your service right when Abbie went missing and didn't have to wait five days for her return.I would sincerely encourage anyone missing a pet to contact you ASAP. It is 3:15 AM as I write and Osiris is back at home! he had just come inside. Needless to say, it was like a heavy weight lifting. he usually does, obviously happy to be home. His stomach is dirty and he is sneezing a little, but seems pretty much healthy. There are no wounds that I have found. He was gone almost 6 full days. awareness of my situation was high. Those posters were seen and noticed. was getting closer and might actually find his way home. And here it is, just 12 hours later and that is exactly what has happened. supplies, including new handouts, put together the trap I bought (just to take it apart today). I set the 2 traps and was checking them. My plan for tomorrow was to wake up early and do more posters- now I can relax a little. So thank you for your help and support and for providing this unique service to pet owners. 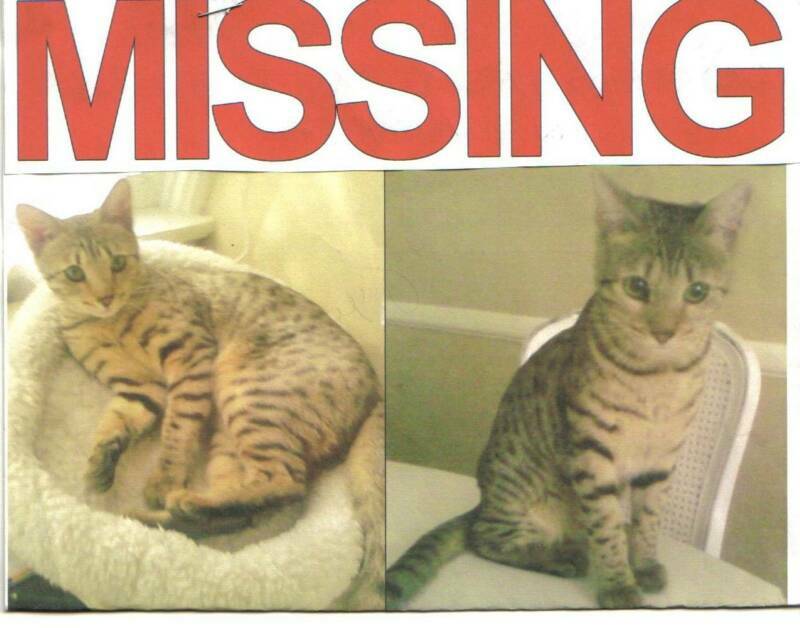 Indoor=only cat missing 6 days....no leads or sightings. Many thanks (again!) for your terrific work. I'm so, so sad that it didn't turn out differently. But I'm very pleased to have gotten acquainted with both of you and I wish you the very best. I drove to our vet's office -- this is an old-fashioned guy who has seen all our pets through the years. He was out but the receptionist suggested I leave the evidence and he could look at it when he returned. I got a phone call later from her saying that he had looked at the remains you found and thought it was a cat..... So that does (sadly) fit with the scenario. Anyway --- I'm probably not going to buy the trap.... I always want to be optimistic but I also want to be logical. If it were not for the fact that I love her so much, I think the evidence is pretty straight forward. God bless you both for the work that you do. The receptionist at the second vet's office asked me for your contact info so she can refer potential customers to you. Ellie led several homes down the street and "alerted" under a home........I looked into the crawl space and there was Boy! Landa!!!! May's home!!! She was on the roof again on Farmdale, behind our house, crying!!! I ran over, climbed onto the neighbor's roof with some food (she was right next to the havahart trap!) and she let me pet her. I grabbed her by her scruff and got her into the trap. She's scarfing down wet food as I write. And still crying. Still pretty scared. I'm overwhelmed with relief and pure joy. We both are. COULD NOT have done it without your help!!! I cannot thank you enough- your expertise and encouragement saw us through! I was called out on the 9th day of Dottie missing. San Fernando Valley near Arleta St. I was called out on the 8th day. 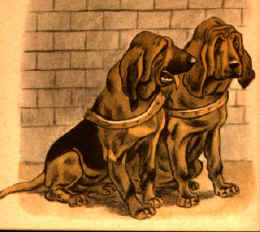 The Bloodhounds led to a nearby "green space" and lost the scent trail. A thorough grid search was conducted with both hounds and my Jack Russell. No evidence was found. Sammy has never been located. I was called out on the 6th day. 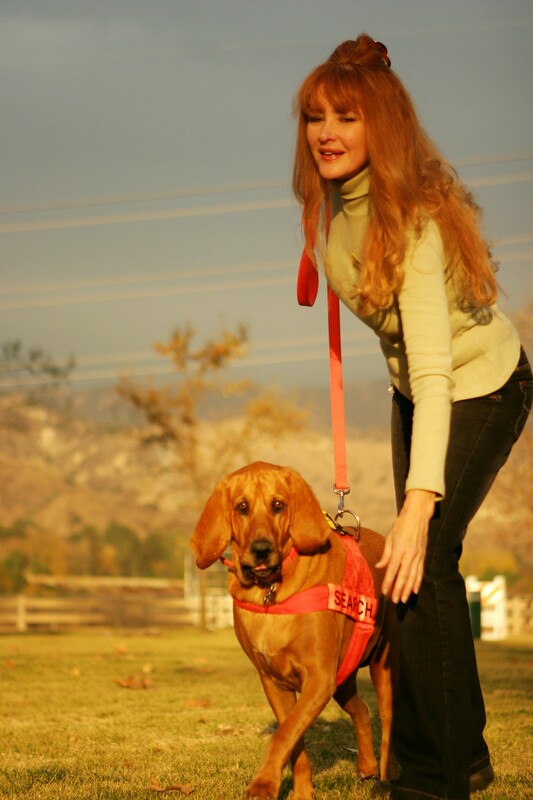 The Bloodhounds were cast for scent around the outside of the home where Sammy went missing. Ellie Mae did not want to run a trail or go in either direction. I immediately pulled Ellie Mae up and went in and asked the owner if she had thoroughly searched the home from top to bottom and asked her if she positive that there were no holes in the home as construction workers had been there for the past two weeks. She adamantly said there were no holes and she had throughly searched. Glory also was not interested in running a trail, but did check out the house on the right and then the left and then sat down. Apache jumped on the front door and did not want to work either. A plan of action was put into place. Charlie was located after the search IN THE ATTIC! This is a follow up email with a picture of the hole that I received from the owner. Still trying to find a quiet bunch of minutes to write to you! I'm just so grateful he's ok. The story is insane. And I feel very lucky to have him safe and well and HOME! He must've climbed up the pipe closet while the men were checking for leaks. There's a small hole to the attic. He's SO timid that when we went up there many times looking for him, he stayed SILENT!!! But when I went up Friday night I must've startled him and he ran!!! Similar picture of hole where Charlie crawled in to which led to the attic. I could not upload the actual picture that was sent to me by the owner unfortunately! UPDATE ON DOTTIE: The owner received calls after the search, and Dottie was seen and identified by two different people as being in the area where the Search Dogs led! Feral cat being transported out of colony to vet office for surgery and then to caretaker's home for recovery. Had tubes in her head and neck. 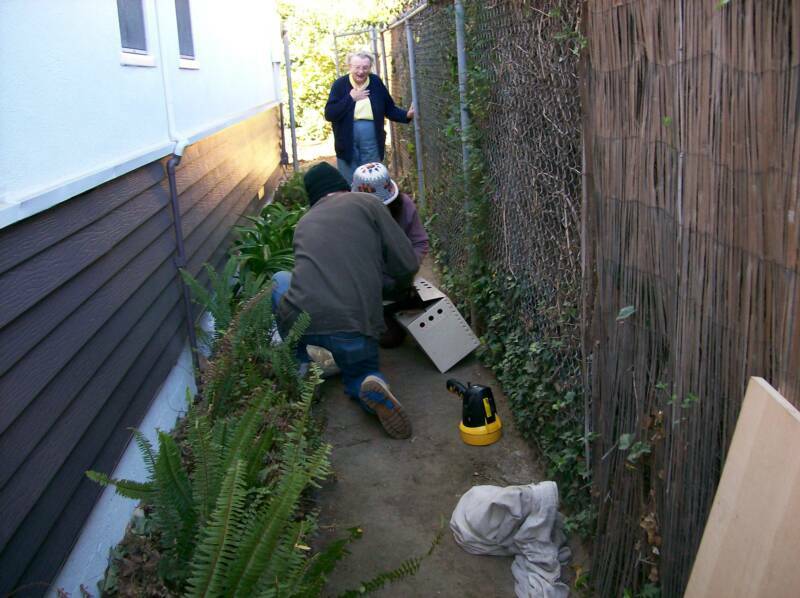 The carrier was not locked tightly and the cat escaped at the caretaker's home. The Search Dogs were brought in on the 4th day. They gave a short direction of travel over the back wall to next door and neighboring apartment complexes. I gave the caretaker a plan of action which she diligently performed. 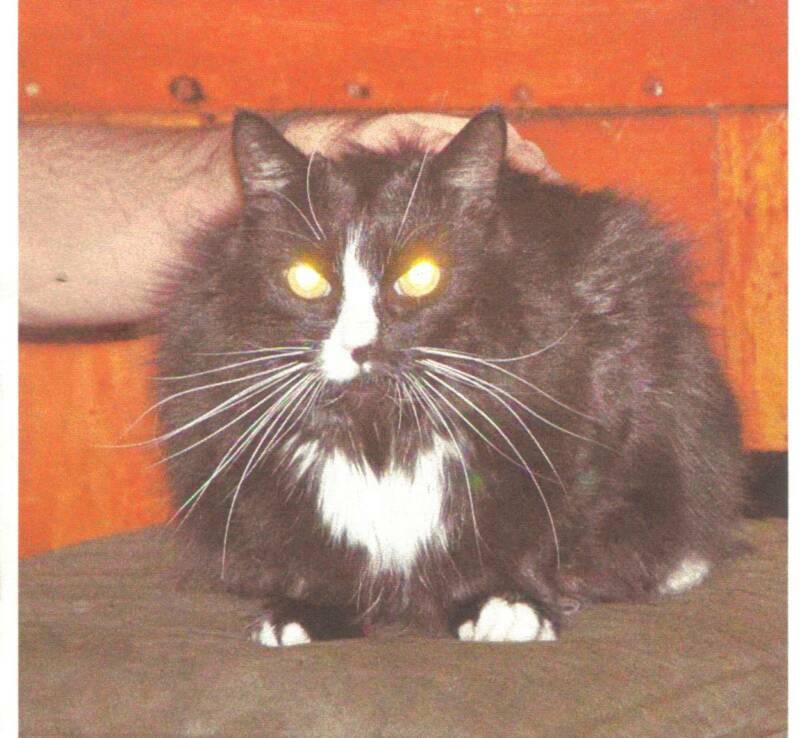 MIDNIGHT on 3/25/11...Owner sighted her feral, Little Girl, next door where the Search Dogs led.....coming out at the 10th day which is what I predicted. Owner is continuing with my plan of action and we expect positive results! I'm so excited! I just saw Little Girl, and I can hardly believe it. It's an absolute positive ID I saw the tube on the side of her head. I'd call you, but it's midnight. I stopped to fix one of my signs in the alley behind my house and I saw a cat that looked like her slink on her belly from the parking lot to the trail the search dogs took. I called to her and she came back to my voice then hid around the wall. I rattled some dry cat food and kept calling her. I put some dry food down and she ran under a parked car near where I put the food. She came to eat and was really hungry. I put a small flashlight on her and saw the tube. Hopefully she will know for sure she can get food and go into the yard and in a trap. I never thought she would come back to the yard. Thank the dogs again and for all your great advice! I was really giving up hope..you were so right about everything! Search dogs came out at 8 days missing and gave a correct Direction of Travel. 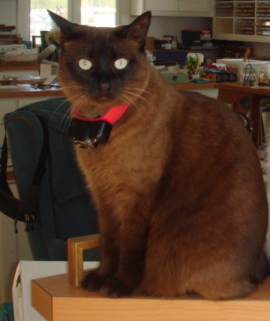 I later found out Monkey's collar and fur had been found in a back yard (along the scent trail) and tampered with. Collar and other evidence were removed when gardeners came to mow and owner was not notified until days later. Little Girl in "transfer trap" wtih tube in head...caught at 6 weeks! I caught LIttle Girl tonight!!! IT'S BEEN SIX WEEKS! She was very skittish and kept grabbing mouthfuls of food and taking them outside the drop trap. I thought I was going to have to wait another night, couldn't immediately spring it. The drop trap weighs 20 lbs and she was still able to lift it up with her head so I didn't get a photo of her in the trap as I was too worried she might get out. She's in a regular trap right now and am sending you that picture. Thank you so much for all of your help ( and the doggies) and encouragement. I have a cat at work that looks sick or injured. She's old about 15 years. She won't go in a regular trap so I will try to make good use of the drop trap again. Going up to the hospital right now to leave her water....ran out earlier. Never stops does it? More tomorrow. I was called out to search for Boots. The Search Dogs both led about 1,500 ft. out of Boot's known territory in the same DOT. They ran a pretty straight trail, crossing the street several times. Each dog led to a different dead end street in the same DOT where the homes backed up to each other. A plan of action was put in to place. The owners and I were suspicious that Boots had gotten into the back of a pick up truck as the day he went missing, there was construction going on at their house and the pick up was going back and forth to get supplies. (The dogs led the same way the truck went to do errands.) 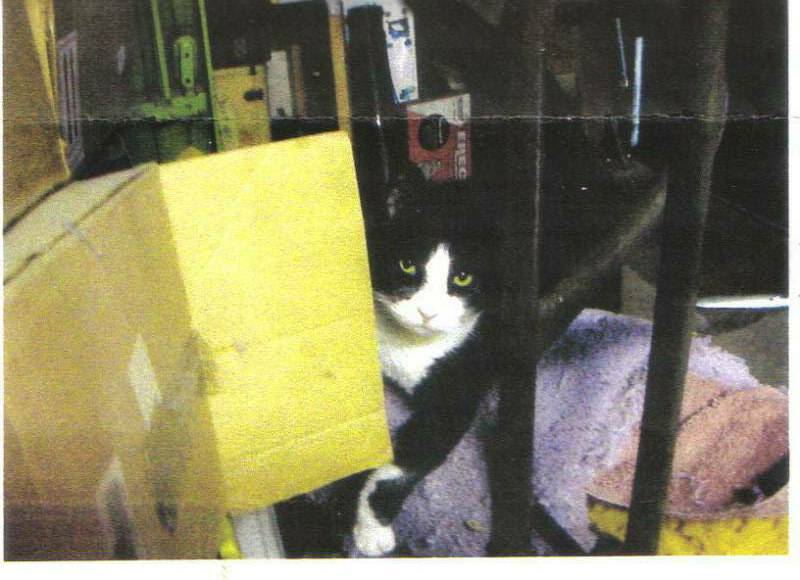 On 4/29/11 at about 9 p.m., Boots appeared at the door. He had a fractured pelvis, broken canine teeth and scratches. The vet said he had probably been hit.....luckily he found his way home. My theory is he indeed hitched a ride in the truck, jumped out along the way and fractured his pelvis on impact or while trying to find his way home. Although we will never know what really happened.....he is going to be okay! 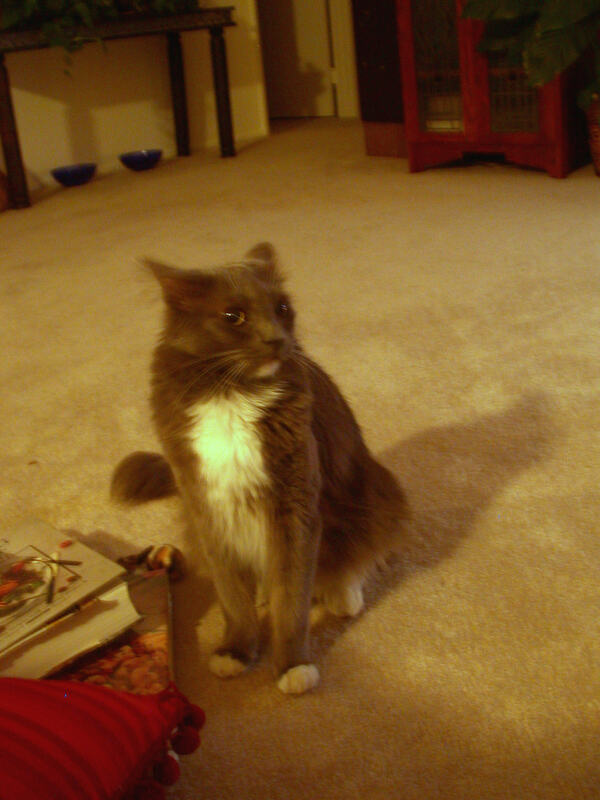 Subject: Re: Boots is home! "He just showed up at the front door. He could barely walk. I have no idea how he dragged himself home and up the steps. My poor baby. He is in the hospital today awaiting surgery tomorrow for the fractures in his pelvis. As of now, the doctors did not see any internal injuries (to his organs). I think he got hit by a car and I think he was holed up somewhere. I went for a walk with Lily down Finch yesterday and got as close into that drain hole that you mentioned. I also tracked it to the river bed. Maybe that extensive walk with calling him helped? Maybe he just got too hungry? Maybe the Search Dogs "bumped" him out like you said happens a lot? I don't know but I am so grateful for your help. You helped me to focus my anxiety into something purposeful. I do think you narrowing down the area helped keep me focused as well - because it could have been the needle in a haystack. You also helped us to connect with our neighbors and made us appreciate what a pet-friendly neighborhood we have. I just can't thank you enough. I will keep you posted with his progress." I was called out on day four...There had been no leads. Oreo had gotten out of a loose gate during a wind storm. He left wearing a collar with ID tags and a bandana. The Bloodhounds trailed 1/4 mile to a school where the scent trail ended. I worked the case for about 2 hours with the hounds. As I was "debriefing" the owner, she got a call that her cleaning service had just found Oreo wandering in a park about 1 mile away. He did NOT have on his collar, tags or bandana on. I feel that someone picked him up at the school area and then for whatever reason dropped him off without ID at the park. I can’t imagine any two people being more thorough, patient, attentive, and compassionate during our lengthy process of searching for Milo. Landa and Annalisa truly went above and beyond the call of duty during a ten week search that included more twists and turns than a spy novel. We were willing to do the work, and they rewarded our efforts by assisting us with guidance and encouragement every step of the way. It felt like an ideal partnership. There was not a single piece of information they gave us that wasn’t absolutely correct. If there’s any advice I could give to others: trust them, they know what they’re doing. We would have never found our lost kitty without the search dogs leading us to the right area, and all the other support and search techniques we learned. And for that, I’m eternally grateful! If I ever lost another pet, heaven forbid, I would hire them again in a heartbeat. 3/3 Milo inspecting trap...FINALLY A PICTURE ON THE WILDLIFE CAMERA! Missing over FOUR WEEKS at this point..
4/13 Milo owners built and switched to a 'DROP TRAP"..See Milo in the right hand corner inspecting this trap. Note wildlife camera on the left. The dogs established a direction of travel which led down to Pacific Coast Highway where the scent trail was lost. 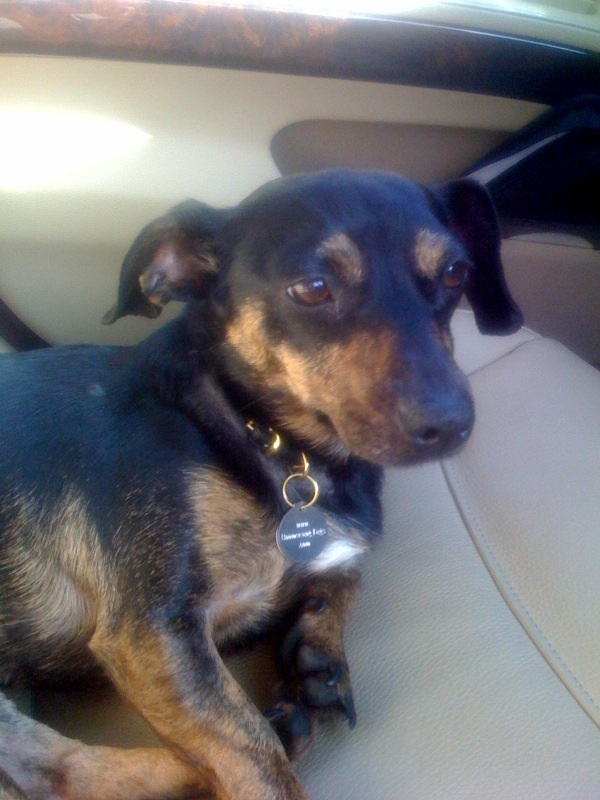 A plan of action was put into place and Milo was identified in a neighborhood about 1/4 mile away across PCH. The owners diligently followed up on leads, staked out areas, had to deal with look-a-like cats, performed feeding stations in person and with surveillance cameras. Finally, over 4 weeks later, they got a picture of Milo on a wildlife camera near one of their feeding stations another 1/4 mile away from the original sighting. 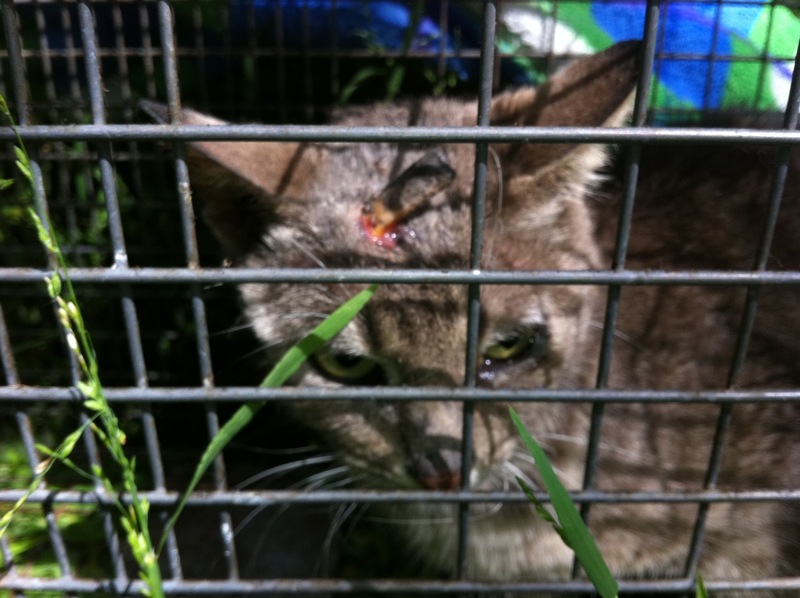 Milo would NOT go into a humane trap for two more weeks. The night the owners trapped Milo, he somehow escaped the trap. This is rare that a cat escapes a humane trap! Not only were the owners devastated, they basically had to go back to square one with luring, trapping and surveillance. After 2 - 3 more weeks, the owners determined that Milo would probably never go back into a humane trap. They built a "drop trap"and set it on 4/13 MILO WAS CAUGHT THAT NIGHT IN THE DROP TRAP!! CRAWL SPACE WHERE ELLIE MAE FOUND BOY HIDING......Shown here are the owners with a carrier gathering Boy up and the owner of the house looking on very surprised! CASE FILE: Daisy, Outdoor Access Curious Clown Cat. Lost 6 days at Search Time. Owners did locate her collar in front of their home...no other leads were produced. Ellie Mae was scented on Daisy's scratch post and immediately made a decision to go out to the front yard and into a neighboring yard where several tufts of fur were found. She ended the scent trail near by. Glory indicated the same direction of travel; however, she continued to lead about 1,500 ft. to a railroad where I pulled her up as it was getting in to a "sketchy" area. Coyotes were constantly seen in this area. I advised owners on a specific plan of action which they followed. No leads were produced after 3 weeks. Owners decided to conduct forensics on the fur that was found. The fur was CONSISTENT with Daisy's fur. 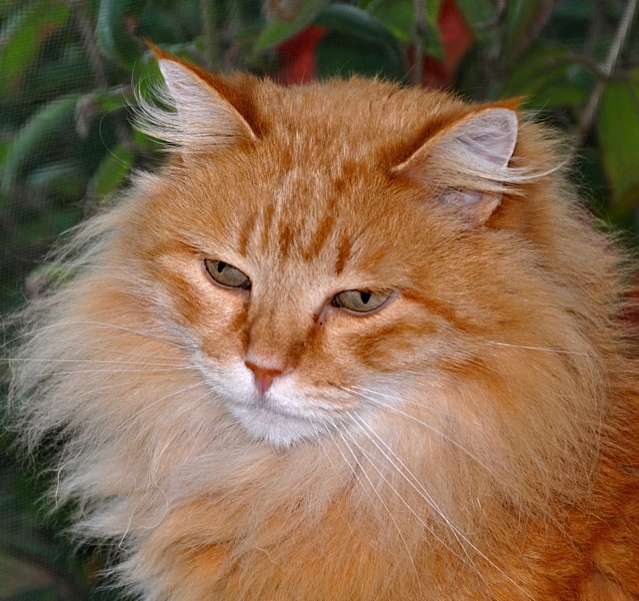 INDOOR-ONLY CAT LOST FOUR DAYS....FOLLOWS SEARCH DOGS HOME DAY OF SEARCH!!! Landa!!! Thank you so much for all your hard work, and your dogs too. I couldn't be more pleased. Baby One and I have been having a love fest all evening...he is so relieved to be home he hasn't left my side all night (or I his)! I think its just miraculous to have found him like you did. I don't know how rare it is for a cat to actually follow its search team...I mean, I know you spoke of the dogs bumping cats out, but how often will they actually follow the team to be found on the spot!!!? I really think he wouldn't have been able to find his way home without you and your dogs...he was just so disoriented. His following you and your dogs was the key that led him back home!!! And it was the best of all possible scenarios! I just think some angel was watching over everything this morning, and somehow Baby One knew to trust you and your dogs. Its just awesome. And thank you for the scent trail map. I will probably frame it and put it on the wall as a reminder to persevere in the face of what appears to be an overwhelming and insurmountable task. PJ, a feral kitty missing 2 days from outside cat enclosure. 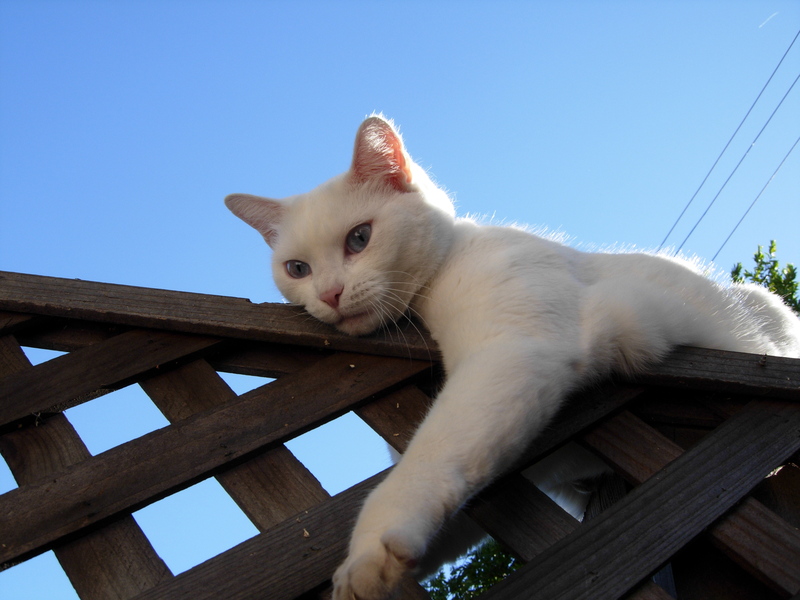 Ellie led to a hole in the gate that had white fur stuck on to it that the owner was not aware of. From there she led two homes over and performed a "gate alert". Upon entry to the home, she led to a wood pile in the back yard where we could see the cat hiding out. PJ was humanely trapped from there! I think you and your dogs are wonderful and its a great service you provide. 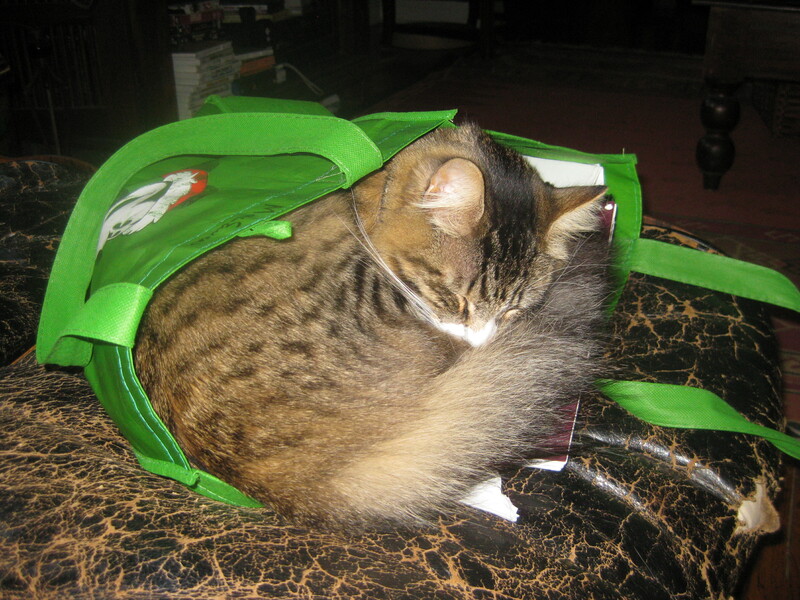 I was afraid something like this would eventually happen since Leopold was an outdoor only cat. As you know, none of my other cats have even been allowed outside. 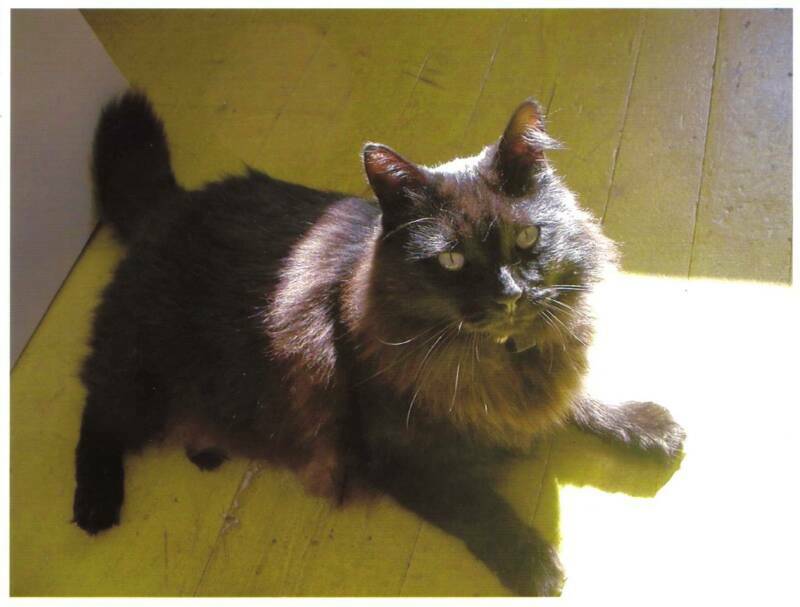 Leopold Outdoor Only Cat..Lost 6 days at search. Ellie Mae has a Walk Up Find..on large amounts of black fur scattered on neighbor's yard several homes away. Forensics confirmed fur was CONSISTENT with Leopold. Thank you I can't begin to thank you enough for all your kindness you've shown me..You are an amazing woman.You really went above and beyond for me especially considering I was not able to pay your normal fee. You gave me so much time and using all three dogs was very special and I'm so very very grateful to you. Please thank your assistant for me as well. You are both wonderful people and it was an honor to have you both in my home. I spoke with one of the neighbors that lives in the above apartment in the four-plex to the right of the spot where you placed the flags. Thank you for the maps please have a wonderful day.